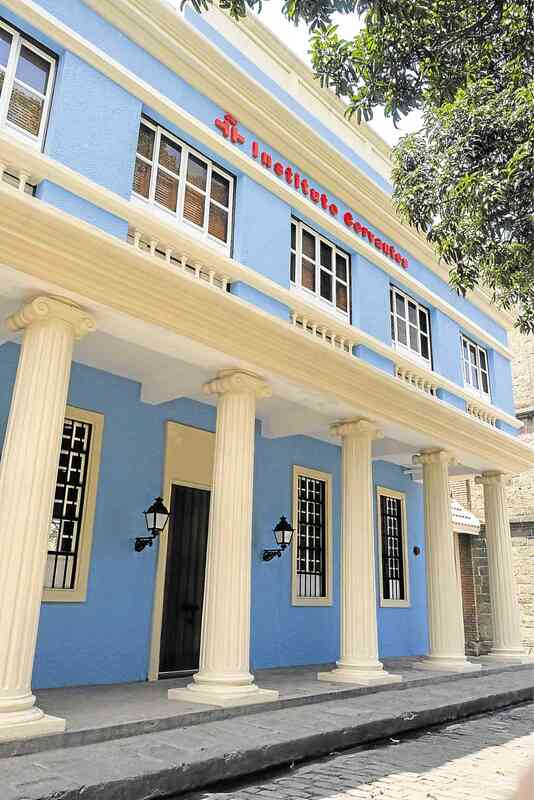 Spanish cultural center Instituto Cervantes will inaugurate its second branch in Intramuros on May 8. It’s located at Casa Azul, San Luis Complex, next to San Agustin Church. The two-floor replica of Instituto Cervantes’ 19th-century Philippine house has an auditorium, exhibition room, classrooms, and a library containing over 30,000 titles. The exhibition room is a 60-square-meter hall which will be a good space for the exhibition of artworks, prime materials, and other items of general information. Conferences, talks, concerts, and foreign and local films will all be part of the center’s regular program. These will be held in the 90-square-meter auditorium, complete with 90 seats. This free platform will be available to local audiences and international events. The library, named after famous Spanish poet Miguel Hernández, is located on the upper floor. It ranks number one in the country for housing the most Spanish and Latin-American materials. Apart from that, it also has an extensive Filipiniana collection, and a couple of new publications in Spanish related to Philippine studies, literature, and nonfiction.